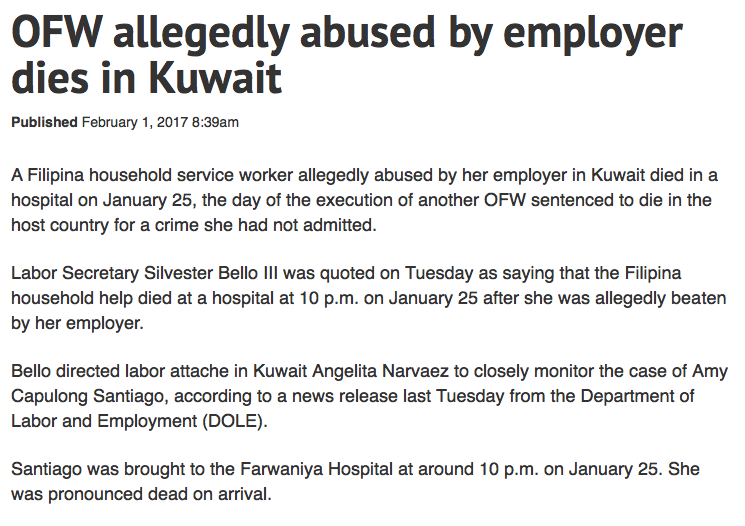 OFW's are routinely abused by their employers. None more so than those who work in the Middle East. Take this latest case. Her world shattered in an instant, Siapo asked her employer to allow her to leave immediately. The answer was no. She was finally granted permission after going down on her knees to kiss her employer’s feet. Pretty disgusting. 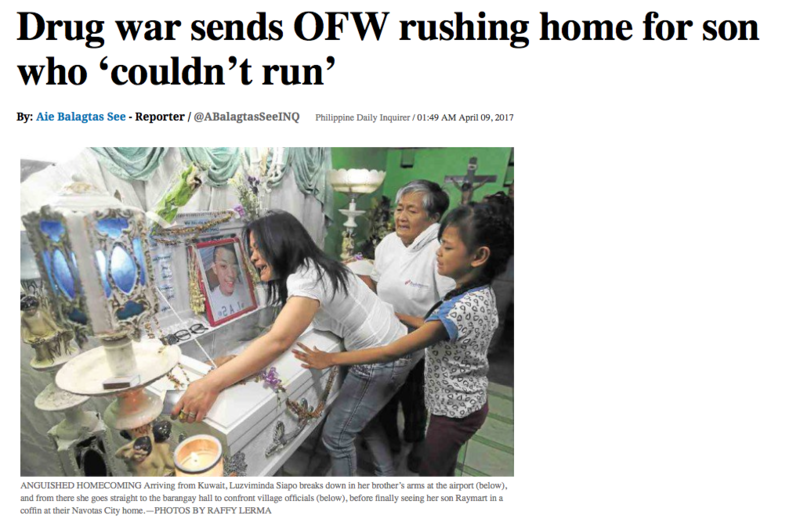 She, ostensibly a Christian, was forced to kneel down and kiss her Muslim employers feet in order to come home to bury her dead son. What an outrage. 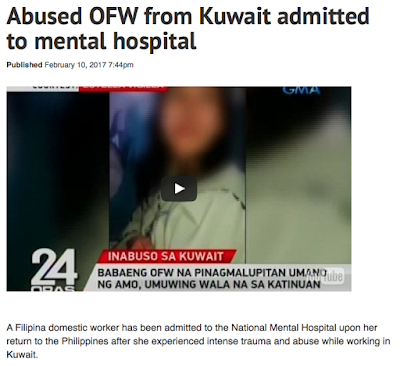 This kind behaviour is typical of the abuse that OFWs endure at the hands of Muslims. A simple Google search for "abused OFW Middle East" brings up 675,000 results! 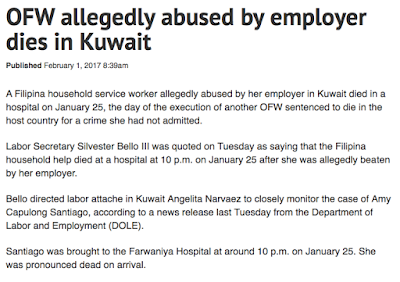 Clearly there is a problem with Muslim employers in the Middle East abusing their Filipino guest workers. Reforming the system that allows these abuses is one reason why Duterte is visiting Saudia Arabia, Bahrain, and Qatar. President Rodrigo Duterte will leave for the Middle East today for a weeklong state visit that aims to secure good working conditions for Overseas Filipino Workers (OFWs), Labor Secretary Silverstre Bello 3rd said Sunday. We are going for a bilateral agreement with these countries concerning our household service workers (HSWs). We are eyeing fixed minimum salary rate for HSWs, insurance coverage, securing a day off and fixed working hours,” Bello said in a phone interview with The Manila Times. I will make a bold prediction: agreements will be drawn up and signed but horrendous mental and sexual abuse will continue. Why? Because the Muslims do not see the Filipinos as people. Filipinos are Christians and therefore kafir. This idea of "kafir" is also why Duterte's quest to "seek their support for our efforts to bring just and lasting peace in Mindanao" is a fools errand. But there is an even more disturbing reason why seeking support for peace efforts in Mindanao is pointless. The Philippines is fighting Abu Sayyaf in Mindanao. This group has aligned itself with ISIS and Saudia Arabia and Qatar are both financing ISIS! 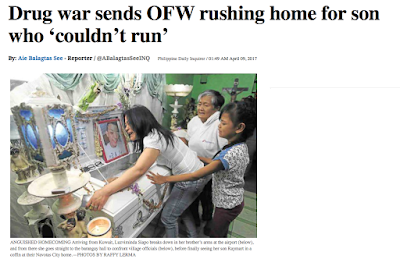 Duterte is a tough guy when it comes to the war on drugs. He is so tough he says outright that he will kill drug pushers and users. Why can't he be that tough in the war against ISIS? 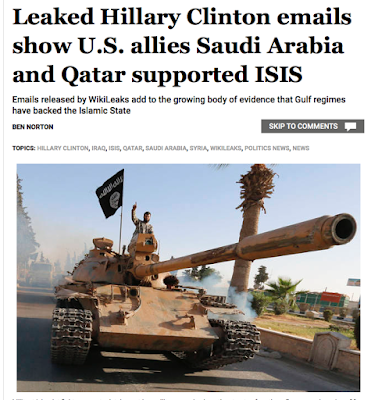 There is no compromise with ISIS and there is no peace with the kingdoms who support and finance ISIS. 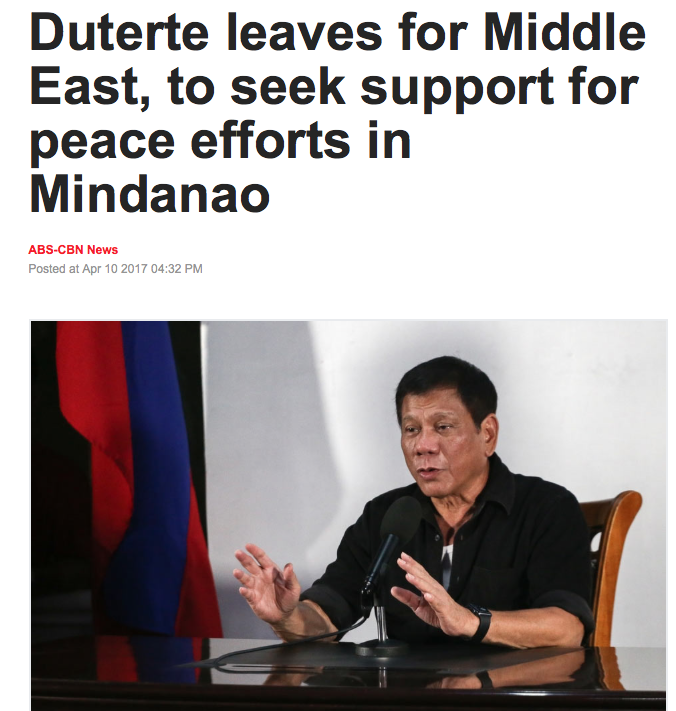 Duterte has no business seeking peace in the Middle East because none will be found. 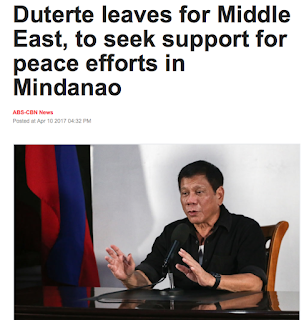 The best thing he could do for the Philippines is to recall and ban all OFWs from working in the Middle East. There is no peace with Islam.